Oh last firsts are so hard! I went through it all with Chiara, knowing that I was happy she was our last but still grieving each last milestone. Then Rosalia came along unexpectedly and now I'm having to live it all again! It really is! I am trying to convince hubby to let me have 'just one more', but I know it will never happen! Beautifully written, I could feel myself tearing up as I read this. I fully agree with you - especially your last paragraph. My husband and I have also travelled the infertility path, and seven cycles of IVF. After a heartbreaking loss of our twin daughter & son at 21 weeks in 2011, it felt as though our dream to have our own living children would never happen. I was the person who would enviously watch strangers with their babies, just wishing it could be me. We have been extremely fortunate to have been blessed with two sons since, and whilst they were also born prematurely, they both survived and have flourished. Knowing this is most likely the last time I am going to have a baby (he is now 7mths), I am trying to immerse myself in every moment, trying to imprint all of the precious moments that we all too often take for granted. I know just what you mean, but having had two children, there are always new firsts to replace the lost ones. Life should be about cherishing the past, but enjoying the present, and looking forward to the future. Regret is a waster of precious moments. What a beautiful insightful post. You are a wonderfully loving mother who appreciates the gift she's been given. I wish every mother had the same appreciation. Thankyou! I wish all mothers felt the same too. What an awesome way to look at the way your child grows. Mr 4 is my only child by choice and I must admit that I do look back now and wish that I had slowed down a little with his milestones, and taken time to enjoy them. I am loving watching him discover new *grown up* things that he can do though. I'm sure there will be many new and wonderful moments at all ages. It's so great watching them discover new things. I would hold her all day if I could, I'm already dreading when shes goes to kindy. 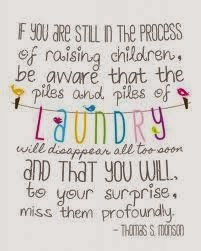 Such a beautiful post and a great reminder to cherish your time with your kids. I too struggled with infertility and have been blessed with two beautiful IVF babies. My little one is nearly one and every cuddle, kiss, smile, giggle etc I cherish because I know he is our last baby. So glad you got your beautiful babies Sam!